applicant to interview to hire. All candidates from all sources in one place. 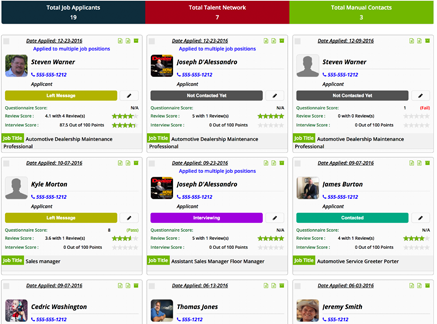 From career page to job boards to social referrals. Provide a compliant audit trail of the entire applicant history. 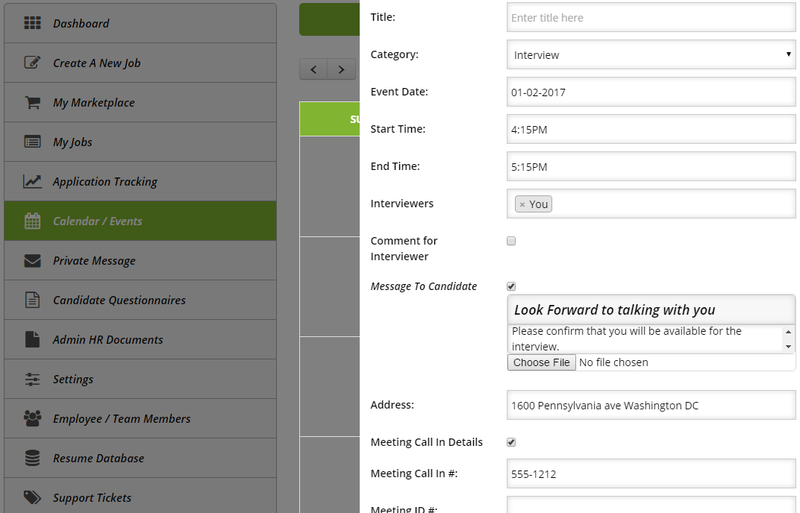 Schedule interviews with multiple people and share calendar invites to all parties. 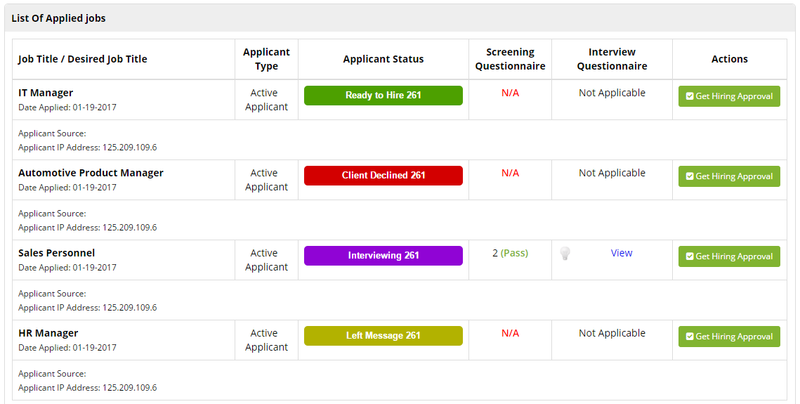 View the complete and accurate history of a candidate’s relationship with your company. 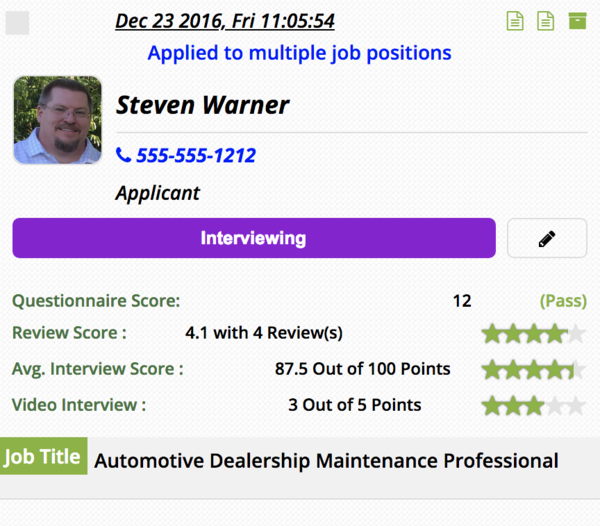 See all positions a candidate has applied to, including past ratings and full profile information. Create or edit notes to store more information about jobs. 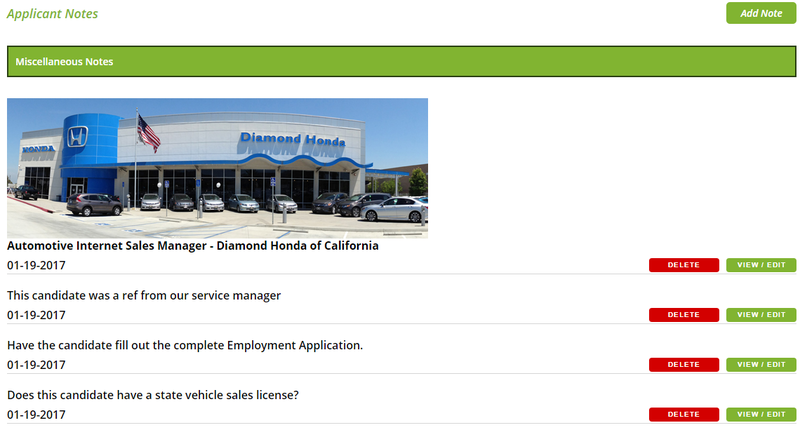 Notes are now easily searchable on the job list page. Centralize all candidate communication in AutomotoHR. 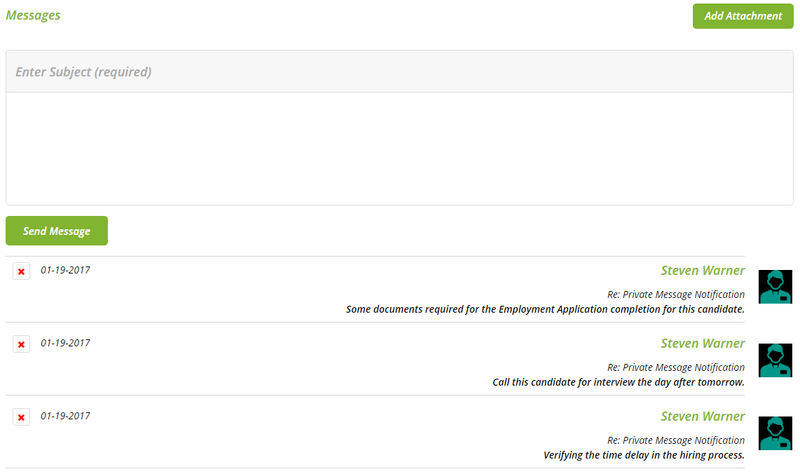 Email correspondence is copied into AutomotoHR, and attachments are automatically added to the candidate profile. Quickly access all candidate messages to get the full history of communication at your fingertips.